Justice Department Deputy CIO Kevin Deeley has passed away, FedScoop has learned. In an email to staff, Justice CIO Joe Klimavicz shared the news of Deeley’s sudden passing over the weekend. He was 55. No information about the cause of death had been made available as of Monday morning. 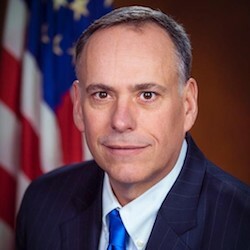 Deeley spent more than three decades in federal government — the last six as deputy CIO of the Justice Department, and before that as its chief information security officer. He won a FedScoop 50 award for Federal Leadership in 2015.